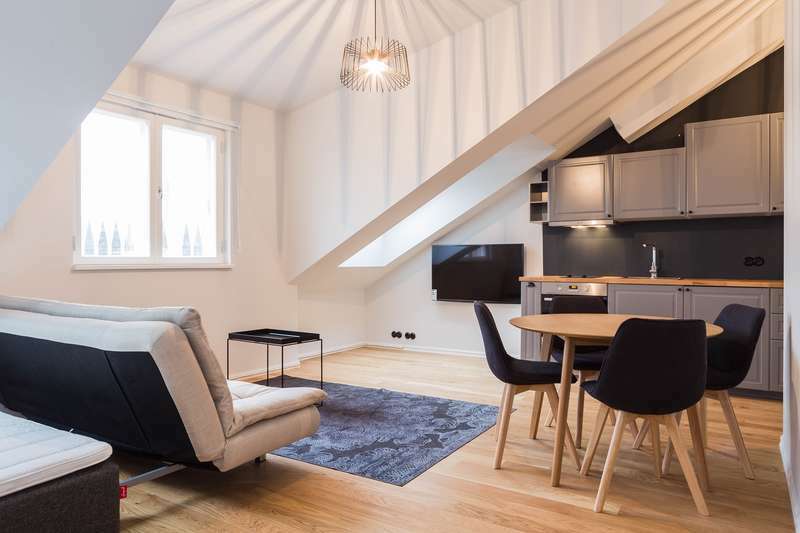 This modern flat is inside a beautifully restored 19th century cultural monument, built in 1888, in the heart of Tallinn, just meters from the Old Town, harbor and business district. Everything is just a couple of min walk away - restaurants, pubs, clubs, shopping centers. 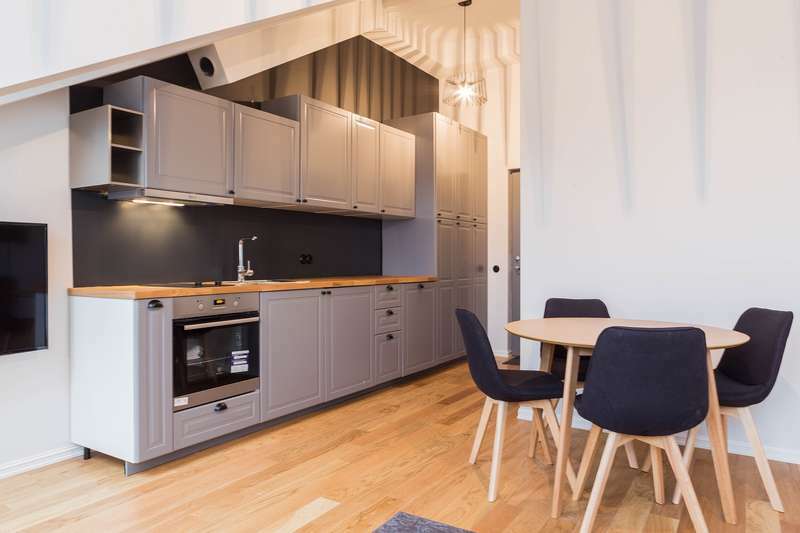 This cozy apartment is ideal for couples, families and tourists, who love home comforts and great design. Our apartment has 1 big comfortable bed and a cozy sofa to enjoy Old Town view on it. This modern city central apartment is on the 5th floor. It has wooden floors, large windows and balcony facing the Tallinn Old Town and city center. Kitchen is fully equipped and it also has dishwasher and an oven. Apartment also has free Wi-fi and TV. Studio has everything you need to make your stay comfortable and you will absolutely enjoy the amazing view of old town from everywhere in the apartment! Located in Tallinn, Lighthouse Apartments is 600 m from Estonian National Opera. Passenger Terminal A is 0.6 km from the property. Free WiFi is provided and private parking is available on site. The property is air conditioned and features a flat-screen TV with satellite channels. Some units feature a terrace and/or balcony with sea views. There is also a kitchen, fitted with an oven, toaster and refrigerator. A stovetop and coffee machine are also featured. There is a private bathroom with free toiletries in each unit. Bed linen are available. Lighthouse Apartments also includes a terrace. Guests can enjoy the on-site restaurant which has grocery deliveries available on request. The full amount will be charged before the arrival otherwise the booking won't be guaranteed and the deposit will be lost. Other charges: If cancelled before 14 days of the date of arrival, no fee will be charged. If cancelled later, 50 percent of the total price of the reservation will be charged. No deposit will be charged. Private parking is possible on site (reservation is needed) and costs EUR 15 per day..
100% booking amount will be charged in case of no-show. No-Smoking policy. Designated smoking area available. Strictly no smoking in rooms.